Since most of the attendees where Rust beginners, we gave them a short introduction which quickly turned into an awesome discussion about C++, memory management, lifetimes and all kind of other stuff. We then went further and started to compile Servo on our laptops to get started. Sadly the two who were trying this on Windows couldn’t get Servo to build 🙁 But luckily Stefan prepared some cloud magic for us, using Jan‘s awesome Janitor project and Cloud 9. The idea behind the system is simple: Instead of spending your time setting up many devices running tied down operating systems, you just setup a cloud service which provides a browser based development environment. The super-awesome Servo team collected some easy issues for us on GitHub. This was a really nice way to get our feet wet in the Servo code base! 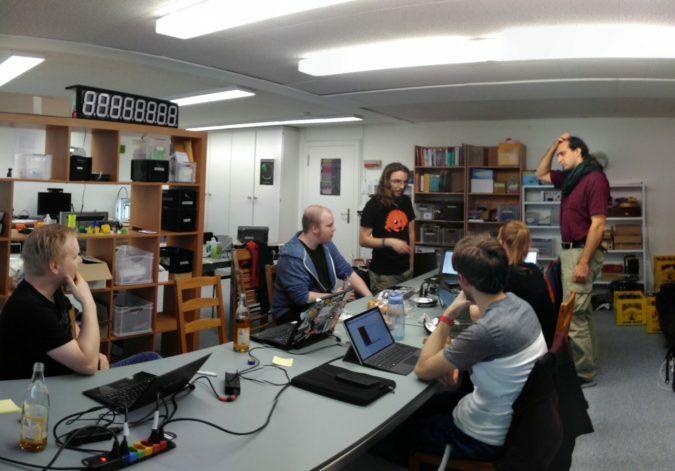 So some of us grabbed an issues from there, while others tried to get to know Rust a bit better by implementing their own mini projects or reading the Rust Book. The time passed really quickly and we had a lot of fun not only coding, but also joking around and talking about strange topics like the production of cheese which involves an enzyme called Rennet extracted from calf stomachs. 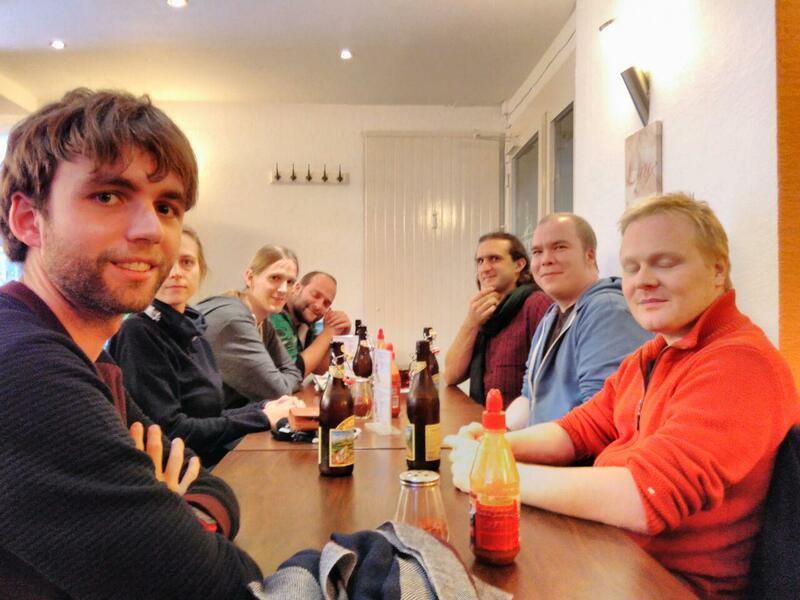 After a few hours of hacking, we got hungry and went to a local restaurant to have dinner together. All in all it was an awesome experience and I think everybody enjoyed it, while also learning a lot. In the end we discussed the possibility of running a monthly or bi monthly Rust meetup in Rapperswil at our hackerspace. Would you be interested? Let us know in the comments or by sending an e-mail to vorstand@lists.coredump.ch. Hi Raphael. Thank you for writing up such a nice article. It was a great afternoon! I have to admit that I struggled a lot with the compiler :-). But that will pass, I hope. I really appreciated the help of all of you advanced Rusters. Whenever you provide links to an equivalent C++ concept, it gets easier. A monthly or bi-monthly Rust meetup would be really very useful. Looking forward!